Jack Dempsey vs Jess Willard. Jack Dempsey vs Gene Tunney. Jack Dempsey vs Jack Sharkey. Tommy Loughran vs Leo Lomski. Tommy Loughran vs Mickey Walker. Tommy Loughran vs James J. Braddock. Tommy Loughran vs Jack Sharkey. 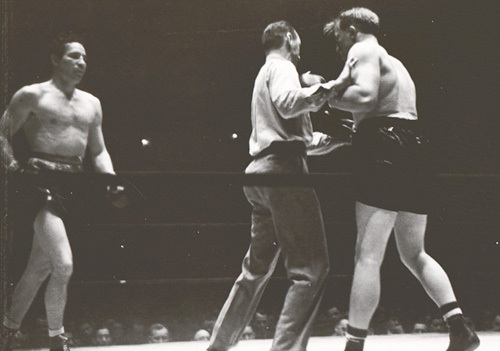 Tommy Loughran vs Primo Carnera. Tommy Loughran vs Maurice Strickland. Max Schmeling vs Jack Sharkey. Max Schmeling vs Young Stribling. Max Schmeling vs Mickey Walker. Max Schmeling vs Joe Louis. Primo Carnera vs George Godfrey. Primo Carnera vs Reggie Meen. Primo Carnera vs Larry Gains. Primo Carnera vs Ernie Schaaf. Primo Carnera & Jack Sharkey. Primo Carnera vs Jack Sharkey. Primo Carnera is New World Champion. Примо Карнера  новый чемпион мира, 1933 г.
Primo Carnera vs Ray Impellittiere. Primo Carnera vs Joe Louis. James J. Braddock in Training. James J. Braddock vs Joe Louis. James J. Braddock vs Tommy Farr.